To say that a web presence is required these days seems about as insightful as saying you need to have a telephone number. For many customers, the web is the preferred method to learn about a company's products and services. Many customers would rather do their own research and only ask specific questions via a chat tool or email or web form. Almost all businesses today get that and understand that they need to have not only a web presence. The proliferation of website-building tools and templates available online would suggest that even the smallest companies understand the need to be online. However, once you get past the basic website presence, it becomes pretty clear that many businesses simply settle for the basic, “me-too” site. Those companies really are cheating themselves because good custom web design is something that most companies should actively pursue. Custom web design is something that differentiates your company, and visitors recognize this. A well-designed web presence indicates a level of professionalism not only in the site, but the company that owns it, simply by virtue of the design itself. These days, so the thinking goes, real companies take the time to fully develop their web presence, because they “get it.” And when companies don't make the commitment to a custom web design, it begs the question—what else have they not committed to? There are numerous website built using standard templates and readily available clip art. The templates and clip art aren't necessarily bad on their own, but even customers with a relatively low level of Internet familiarity can recognize cheesy designs and images when they see it. To put it bluntly, their presence indicates a certain lack of sophistication and professionalism in the design of your web presence, which in turns casts doubt about the sophistication and professionalism of your company. The real value of custom web design is that it focuses on your brand, and not provides a simple web presence, but channels the customer's attention into who you are as a company, i.e., it builds your brand to your marketplace. Great web design isn't about flashy graphics or lots of bells and whistles—in fact, in custom web design, less is often more. A good design isn't about the design and it doesn't call attention to itself; rather, great web design is design that the viewer doesn't even necessarily “notice” because they're too focused on what the site says about your company. A key aspect of great custom web design is that it draws visitors into the site and moves them along to other pages or aspects of the site without the visitor even realizing it. Clearly designed landing pages, easily accessible and readable information and content, and well-defined call-to-action activities keep visitors engaged on your site, hopefully long enough to convert them into customers. That's crucial because today's conversion rates hover around 2-10%, and visitors only stay on the average page for about 15 seconds. If the design of your web presence can increase your credibility long enough to raise your standing relative to both of those metrics, then your design is worth the extra time and effort. At first glance, you might wonder how incorporating search engine optimization enhances credibility, but it does. For most visitors searching online, higher search engine rankings have become a sign of credibility in and of themselves (whether or not the highest-ranking results are actually credible.) In the minds of many visitors, your site is ranked higher than others because your content is more relevant and credible than others in the results, and thereby your company is more relevant and credible. The key to doing business online is to make sure that your web presence is building your brand and serving your business, not the other way around. Further, a mediocre web site design can be just as harmful as a poor website design. Like it or not, if you want your website to add to the credibility of your company, you need to invest in a custom web design that will set you apart from the rest of the marketplace. 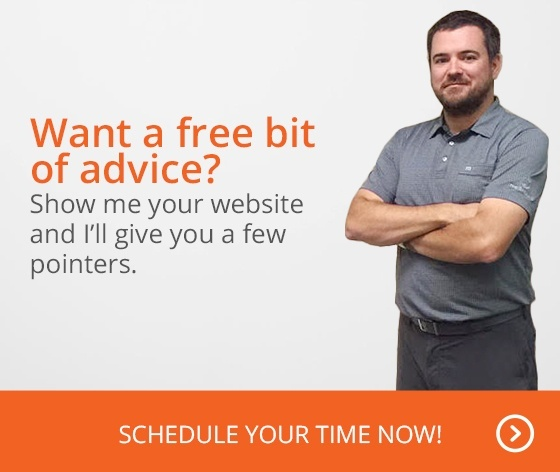 If you’ve been inspired to make changes to your website, but aren’t sure where or how to start, schedule a free consultation with us today!